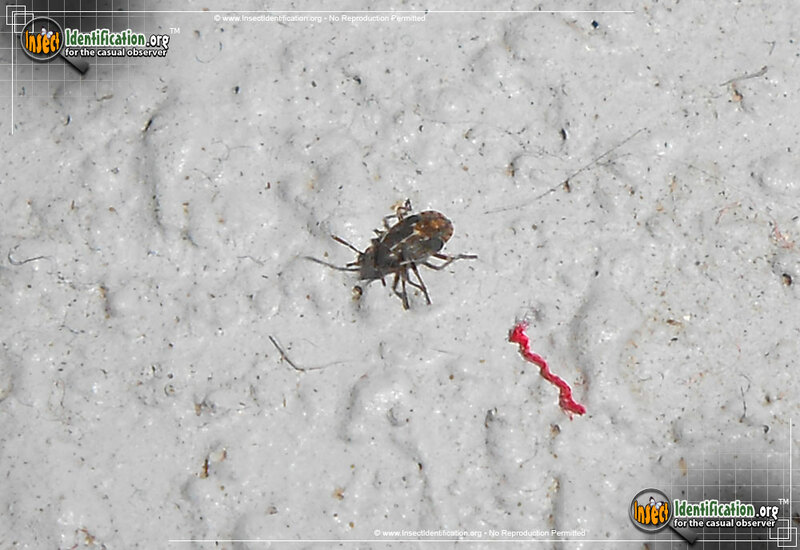 Detailing the physical features, habits, territorial reach and other identifying qualities of the False Chinch Bug. Pervasive pests like the False Cinch Bug roam from crop to crop, damaging new leaf growth wherever they land. False Cinch Bugs fly to their food sources, sometimes miles apart. They pierce plant stems and drink the juices from young plants, depriving it of food and water. 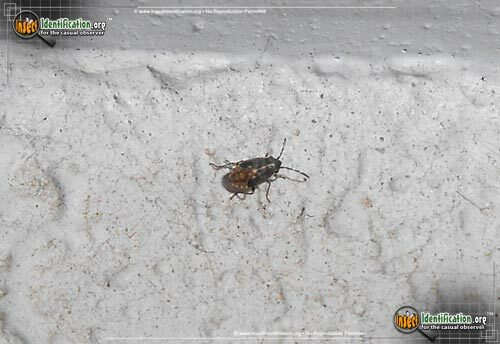 False Cinch Bugs prefer to eat alfalfa, radish leaves, and mustard greens, but they will move to other field crops like potatoes and grains once their first food source has been harvested. They also return to fields that have recovered in order to feed again, making it difficult to starve them out of an area. Seedlings might die, but older plants can survive the feedings. The damage from feeding takes days to few weeks to appear and can include things like leaf wilting, leaf curling or the appearance of leaf burn. False Cinch Bugs have two forms depending on age. Young nymphs are oblong and brown at the head and thorax with an orange abdomen covered in tiny white dots. Adults are slender and completely brown. Wings have fully grown and cover the abdomen as they cross over at the end of the body. Both life stages have large eyes that bulge out of the side of the head, and a pointy, beak-like mouth. They are fast breeders and eggs take only a few days to hatch. Nymphs mature into reproducing adults in less than a month. This means many generations of bugs can live at the same time, feeding in the same field. Mid-summer sees populations at their largest size, which is also when many crops are reaching peak readiness for harvesting. During particularly cool springs that have had a lot of rain, a population can swell to alarming sizes. 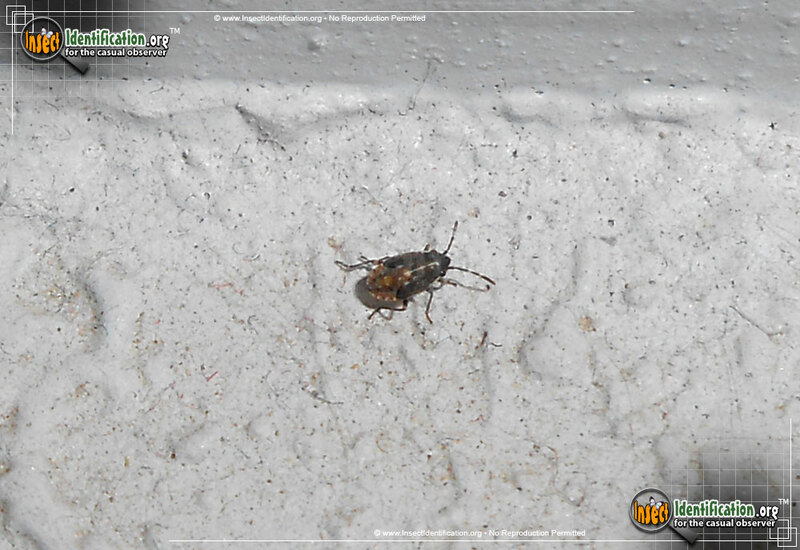 False Cinch Bugs are not dangerous to people; they don't bite or destroy interior dwellings. In dry, hot spells during the summer, clusters may seek cooler temperatures inside buildings. This makes them a nuisance, but usually a short-lived one, lasting only a week or so indoors. Removing indoor populations by using a vacuum is more common than pesticide use. They overwinter in both life stages, taking nutrition from cold-weather crops and wild plants like sages. Look for adults in the cooler parts of the day like dawn and dusk. The hot afternoon sun drives them to the ground for shade cover.